This is a significant question for all those who are interested in meditation, because meditation is really a transcending of the process of dreaming. You are constantly dreaming – not only in the night, not only while you are asleep; you are dreaming the whole day. This is the first point to be understood. While you are awake you are still dreaming. Just close your eyes at any time of the day. Relax the body and you will feel that the dreaming is there. It never disappears; it is only suppressed by our daily activities. It is like the stars in the day. In the night you see the stars. In the day you cannot see them, but they are there always. They are simply suppressed by the sunlight. If you go into a deep well, then you can see the stars in the sky even in the day. A certain darkness is needed to see the stars. So go into a deep well and look from the bottom, and you will be able to see the stars in the day also. The stars are there. It is not that in the night they are there and in the day they are not, they are always there. In the night you can see them easily. In the day you cannot see them because the sunlight becomes a barrier. The same is true with dreaming. It is not that you dream while you are asleep. In sleep you can feel dreams easily because the activity of the day is no more there; thus that inner activity can be seen and felt. When you get up in the morning, the dreaming continues inside while you start acting on the outside. This process of activity, of daily activity, simply suppresses the dreaming. The dreaming is there. Close your eyes, relax in an armchair, and suddenly you can feel: the stars are there; they have not gone anywhere. The dreams are there always. There is a continuous activity. The second point. If the dreaming continues, you cannot be said to be really awake. In the night you are more asleep, in the day you are less asleep. The difference is relative, because if the dreaming is there you cannot be said to be really awake. Dreaming creates a film over the consciousness. This film becomes like smoke – you are surrounded by it. You cannot be really awake while you are dreaming, whether in the day or in the night. So the second thing: you can only be said to be awake when there is no dreaming at all. We call Buddha the awakened one. What is this awakening? This awakening is really the cessation of inner dreaming. There is no dream inside. You move there, but there is no dream. It is as if there were no star in the sky; it has become pure space. When there is no dreaming, you become pure space. This purity, this innocence, this non-dreaming consciousness, is what is known as enlightenment – the awakening. For centuries spirituality all over the world, East or West, has said that man is asleep. Jesus says this, Buddha says this, the Upanishads talk about this: man is asleep. So while you are asleep in the night you are just relatively more asleep; in the day you are less asleep. But spirituality says that man is asleep. This has to be understood. What is the reason for saying that? You cannot know, you cannot remember who you are. Do you know who you are? If you meet a person in the street and you ask him who he is and he cannot reply, what will you think? You will think that he is either mad, intoxicated, or just asleep. If he cannot answer who he is, what are you going to think about him? On the spiritual path everyone is like that. You cannot answer who you are. This is the first meaning when Gurdjieff or Jesus or anyone says that man is asleep: you are not conscious about yourself. You do not know yourself; you have never met yourself. You know many things in the objective world, but you do not know the subject. Your state of mind is as if you had gone to see a film. On the screen the film is running, and you have become so absorbed in it that the only thing you know is the film, the story, whatsoever is appearing on the screen. Then if someone asks you who you are, you cannot say anything. Dreaming is just the film – just the film! It is the mind reflecting the world. In the mirror of the mind the world is reflected; that is what dreaming is. And you are so deeply involved in it, so much identified with it, that you have completely forgotten who you are. This is what being asleep means: the dreamer is lost in the dreaming. You see everything except yourself; you feel everything except yourself; you know everything except yourself. This self-ignorance is the sleep. Unless dreaming ceases completely, you cannot awaken unto yourself. You might have felt it sometimes while looking at a film for three hours, and suddenly the film stops and you come back to yourself. You remember that three hours have passed, you remember that it was just a film. You feel your tears… you have been weeping because the film was a tragedy to you, or you were laughing, or you were doing something else, and now you laugh about yourself. What nonsense you were doing! It was just a film, just a story. There was nothing on the screen – just a play of light and shadow, just an electrical play. Now you laugh: you have come back to yourself. But where were you for these three hours? You were not at your center. You had moved completely to the periphery. There, where the film was moving, you had gone. You were not at your center; you were not with yourself. You were somewhere else. This happens in dreaming; this is what our life is. The film is only for three hours, but this dreaming is running for lives and lives and lives. Even if suddenly the dreaming stops you will not be able to recognize who you are. Suddenly you will feel very faint, even afraid. You will try to move again into the film because that is known. You are acquainted with it; you are well adjusted to it. For when the stopping of the dreaming happens there is a path, particularly in Zen, which is known as the path of sudden enlightenment. There are techniques in these one hundred and twelve methods, there are many techniques which can give you sudden awakening. But it can be too much, and you may not be capable of bearing it. You may just explode. You may die even, because you have lived with dreaming so long that you have no memory of who you are if there is no dreaming. If this whole world should suddenly disappear and you alone are left, it would be such a great shock that you would die. The same would happen if suddenly all dreaming disappeared from the consciousness. Your world will disappear, because your world was your dreaming. We are not really in the world. Rather, “the world” consists not of outside things to us, but of our dreams. So everyone lives in his own dream world. Remember, it is not one world that we go on talking about. Geographically it is, but psychologically there are as many worlds as there are minds. Each mind is a world of its own. And if your dreaming disappears, your world disappears. Without dreams it is difficult for you to live. That is why sudden methods are not used generally, only gradual methods are used. It is good to note this: gradual methods are used not because there is any need of gradual processes. You can suddenly jump into realization this very moment. There is no barrier; there has never been any barrier. You are already that realization, you can jump this very moment. But that may prove dangerous, fatal. You may not be capable of bearing it. It is going to be too much for you. You are attuned only to false dreams. Reality you cannot face; you cannot encounter it. You are a hothouse plant – you live in your dreams. They help you in many ways. They are not just dreams, for you they are the reality. Gradual methods are used not because realization needs time. Realization needs no time! Realization needs no time at all. Realization is not something to be attained in the future, but with gradual methods you will attain it in the future. So what are the gradual methods doing? They are not really helping you to “realize realization,” they are helping you to bear it. They are making you capable, strong, so that when the happening happens you can bear it. There are seven methods through which immediately you can force your way into enlightenment. But you will not be capable of bearing it. You may go blind – too much of light. Or you may suddenly die – too much of bliss. I will talk about two methods more. One we discussed yesterday. Today, two more that are even easier. One is to start acting, behaving as if the whole world is just a dream. Whatsoever you are doing, remember this is a dream. While eating, remember this is a dream. While walking, remember this is a dream. Let your mind continuously remember while you are awake that everything is a dream. This is the reason for calling the world maya, illusion, dream. This is not a philosophical argument. Unfortunately, when Shankara was translated into English, German and French, into Western languages, he was understood to be just a philosopher. That has created much misunderstanding. In the West there are philosophers – for example, Berkeley – who say that the world is just a dream, a projection of the mind. But this is a philosophical theory. Berkeley proposes it as an hypothesis. When Shankara says that the world is a dream it is not philosophical, not a theory. Shankara proposes it as a help, as a support for a particular meditation. And this is the meditation: if you want to remember while dreaming that this is a dream, you will have to start while you are awake. Normally, while you are dreaming you cannot remember that this is a dream; you think that this is a reality. Why do you think that this is a reality? Because the whole day you are thinking everything is a reality. That has become the attitude, a fixed attitude. While awake you were taking a bath – it was real. While awake you were eating – it was real. While awake you were talking with a friend – it was real. For the whole day, the whole life, whatsoever you are thinking, your attitude is that this is real. This becomes fixed. This becomes a fixed attitude in the mind. So while you are dreaming in the night, the same attitude goes on working, that this is real. So let us first analyze. There must be some similarity between dreaming and reality; otherwise this attitude would be somewhat difficult. I am seeing you. Then I close my eyes and I go into a dream, and I see you in my dream. In both seeings there is no difference. While I am actually seeing you, what am I doing? Your picture is reflected in my eyes. I am not seeing you. Your picture is mirrored in my eyes, and then that picture is transformed through mysterious processes – and science is still not in a position to say how. That picture is transformed chemically and carried somewhere inside the head, but science is still not able to say where – where exactly this thing happens. It is not happening in the eyes; the eyes are just windows. I am not seeing you with the eyes, I am seeing you through the eyes. In the eyes you are reflected. You may be just a picture; you may be a reality, you may be a dream. Remember, dreams are three-dimensional. I can recognize a picture because a picture is two dimensional. Dreams are three-dimensional, so they look exactly like you. And the eyes cannot say whether whatsoever is seen is real or unreal. There is no way to judge; the eyes are not the judge. Then the picture is transformed into chemical messages. Those chemical messages are like electrical waves; they go somewhere in the head. It is still unknown where the point is that the eyes come in contact with the surface of seeing. Just waves reach to me and then they are decoded. Then I again decode them, and in this way I know what is happening. I am always inside, and you are always outside, and there is no meeting. So whether you are real or just a dream is a problem. Even this very moment, there is no way to judge whether I am dreaming or you are really here. Listening to me, how can you say that really you are listening to me, that you are not dreaming? There is no way. That is why the attitude which you maintain the whole day is carried over into the night. And while you are dreaming you take it as real. Try the opposite; that is what Shankara means. He says that the whole world is an illusion, he says the whole world is a dreaming – remember this. But we are stupid people. If Shankara says, “This is a dream,” then we say, “What is the need to do anything? If this is just a dream, then there is no need to eat. Why go on eating and thinking that this is a dream? Don’t eat!” But then remember – when you feel hunger, it is a dream. Or eat, and when you feel that you have eaten too much, remember, this is a dream. Shankara is not telling you to change the dream, remember, because the effort to change the dream is again falsely based on the belief that it is real; otherwise there is no need to change anything. Shankara is just saying that whatever is the case is a dream. This is one way to penetrate dreams with consciousness, with awareness. If you can remember in the night while dreaming that this is a dream, then in the day you will not need any effort to remember that this is also a dream. You will know it then. In the beginning, while you are practicing this, it will be just a make-believe. You start just in faith… “This is a dream.” But when you can remember in dreaming that this is a dream, it will become a reality. Then in the day, when you get up you will not feel that you are getting up from sleep, you will feel you are simply getting up from one dreaming to another. Then it will become a reality. And if the whole twenty-four hours becomes dreaming, and you can feel and remember it, you will be standing at your center. Then your consciousness will have become double-arrowed. You are feeling dreams, and if you are feeling them as dreams you will start to feel the dreamer – the subject. If you take dreams as real, you cannot feel the subject. If the film has become real, you forget yourself. When the film stops and you know that it was unreal, your reality erupts, breaks out; you can feel yourself. This is one way. This has been one of the oldest Indian methods. That is why we have insisted on the world being unreal. We do not mean it philosophically; we do not say that this house is unreal so you can pass through the walls. We do not mean that! When we say that this house is unreal, it is a device. This is not an argument against the house. So Berkeley proposed that the whole world is just a dream. One day, in the morning, he was walking with Dr. Johnson. Dr. Johnson was a hardened realist, so Berkeley said, “Have you heard about my theory? I am working on it. I feel that the whole world is unreal, and it cannot be proved that it is real. And the burden of proving it is on those who say that it is real. I say it is unreal – just like dreams. Johnson was not a philosopher, but he had a very astute logical mind. Realists have always argued this way, but they cannot argue this way with Shankara because his is not a philosophical theory. It is not saying anything about the reality; it is not proposing anything about the universe. Rather, it is a device to change your mind, to change the basic fixed attitude so that you can look at the world in a different, an altogether different way. This is a problem, continuously a problem for Indian thought – because for Indian thought everything is just a device for meditation. We are not concerned about its being true or untrue. We are concerned about its utility in transforming man. This is emphatically different from the Western mind. When they propose a theory they are concerned with whether this is true or untrue, whether this can be proved logically or not. When we propose anything we are not concerned about its truth; we are concerned about its utility, we are concerned about its capacity, its capability to transform the human mind. It may be true, it may not be true. Really, it is neither – it is simply a device. I have seen flowers outside. In the morning the sun rises and everything is just beautiful. You have never been outside, and you have never seen flowers, and you have never seen the morning sun. You have never seen the open sky; you do not know what beauty is. You have lived in a closed prison. I want to lead you out. I want you to come out under the open sky to meet these flowers. How am I to do it? So what am I to do? I must devise something which you can understand and which helps you to go out, so I say that the house is on fire and I start running. It becomes infectious: you run after me and go out. Then you will know that what I said was neither true nor false. It was just a device. Then you will know flowers and then you can forgive me. Buddha was doing that, Mahavir was doing that, Shiva was doing that, Shankara was doing that. We can forgive them later on. We have always forgiven them because once we go out we know what they were doing. And then we understand that it was useless to argue with them because it was not a question of arguing. The fire was nowhere, but we could not understand only that language. Flowers were, but we could not understand the language of the flowers, those symbols were meaningless for us. So this is one way. Then there is a second method at the other pole. This method makes one pole; the other method makes another pole of the same thing. One method is to start feeling, remembering, that everything is a dream. The other is not to think anything about the world, but just to go on remembering that you are. Gurdjieff used this second method. This second method comes from the Sufi tradition, from Islam. They worked on it very deeply. Remember “I am” – whatsoever you are doing. You are drinking water, you are eating your food – remember, “I am.” Go on eating and go on remembering, “I am, I am.” Do not forget it! It is difficult because you already think that you know you are, so what is the need to go on remembering this? You never remember it, but it is a very, very potential technique. When walking remember, “I am.” Let the walking be there, go on walking, but be constantly fixed in this self-remembering of “I am, I am, I am.” Do not forget this. You are listening to me – just do it here. You are listening to me. Do not be so much merged, involved, identified. Whatsoever I am saying, remember, go on remembering. Listening is there, words are there, someone is talking, you are – “I am, I am, I am.” Let this “I am” be a constant factor of awareness. Even to remember for one complete minute is a miracle. And if you can remember for one minute, the technique is for you. Then do it. Through it you will be capable of going beyond dreams and of knowing that dreams are dreams. How does it work? If the whole day you can remember “I am,” then this will penetrate your sleep also. And when you will be dreaming, continuously you will remember, “I am.” If you can remember “I am” in the dream, suddenly the dream becomes just a dream. Then the dream cannot deceive you, then the dream cannot be felt as reality. This is the mechanism: the dream is felt as reality because you are missing the self-remembering; you are missing ”I am.” If there is no remembering of oneself, then the dream becomes reality. If there is the remembering of oneself, then reality, the so-called reality, becomes just a dream. This is the difference between dreaming and reality. For a meditative mind, or for the science of meditation, this is the only difference. If you are, then the whole reality is just a dream. If you are not, then the dreaming becomes reality. Nagarjuna says, “Now I am, for the world is not. While I was not, the world was. Only one can exist.” That doesn’t mean that the world has disappeared. Nagarjuna is not talking about this world, he is talking about the world of dreaming. Either you can be or the dreams can be – both cannot be. Try it in any activity and then feel it. The more real you become inside, the more unreal becomes the surrounding world. The reality becomes “I”, and the world becomes unreal. The world is real or the “I” is real – both cannot be real. You are feeling that you are just a dream now; then the world is real. Change the emphasis. Become real, and the world will become unreal. Gurdjieff worked on this method continuously. His chief disciple, P. D. Ouspensky, relates that when Gurdjieff was working on him with this method, and he was practicing for three months continuously this remembering of “I am, I am, I am,” after three months everything stopped. Thoughts, dreaming, everything stopped. Only one note remained inside like eternal music: “I am, I am, I am, I am.” But then this was not an effort. This was a spontaneous activity going on: “I am.” Then Gurdjieff called Ouspensky out of the house. For three months he had been kept in the house and wasn’t allowed to move out. I do not mean that you have to repeat the words “I am,” rather, have the feeling. Taking a bath, feel ”I am.” Let there be the touch of the cold shower, and let yourself be there behind, feeling it and remembering “I am.” Remember, I am not saying that verbally you have to repeat “I am.” You can repeat it, but that repetition will not give you awareness. Repetition may even create more sleep. There are many people who are repeating many things. They go on repeating “Ram, Ram, Ram…” and if they are just repeating without awareness then this ”Ram, Ram, Ram…” becomes a drug. They can sleep well through it. That is why Mahesh Yogi has so much appeal in the West, because he is giving mantras for people to repeat. And in the West sleep has become one of the most serious problems. Sleep is totally disturbed. Natural sleep has disappeared. Only through tranquilizers and drugs can you sleep; otherwise sleep has become impossible. This is the reason for Mahesh Yogi’s appeal. It is because if you constantly repeat something, that repetition gives you deep sleep; that is all. So the so-called transcendental meditation is nothing but a psychological tranquilizer. It is nothing – just a tranquilizer. It helps, but it is good for sleep, not for meditation. You can sleep well, a more calm sleep will be there. It is good, but it is not meditation at all. If you repeat a word constantly it creates a certain boredom, and boredom is good for sleep. So anything monotonous, repetitive can help sleep. The child in the mother’s womb sleeps for nine months continuously, and the reason for this you may not know. The reason is only the “tick-tock, tick-tock” of the heart of the mother. Continuously there is the beat, the heartbeat. It is one of the most monotonous things in the world. With the same beat continuously repeating, the child is drugged. He goes on sleeping. That is why whenever the child is crying, screaming, creating any problem, the mother puts his head near her heart. Then suddenly he feels good and goes into sleep. Again it is due to the heartbeat. He becomes again a part of the womb. That is why even if you are not a child and your wife, your beloved puts your head on her heart, you will feel sleepy from the monotonous beat. Psychologists suggest that if you cannot sleep, then concentrate on the clock. Just concentrate on the clock’s tick-tock, tick-tock. It repeats the heartbeat, and you can fall asleep. Anything repetitive will help. So this “I am,” the remembering of “I am,” is not a verbal mantra. It is not going to be repeated verbally – feel it! Be sensitive to your being. When you touch someone’s hand do not only touch his hand, feel your touch also, feel yourself also – that you are here in this touch, present totally. While eating, do not only eat, feel yourself eating as well. This feeling, this sensitivity must penetrate deeper and deeper into your mind. One day, suddenly, you are awake at your center, functioning for the first time. And then the whole world becomes a dream, then you can know that your dreaming is a dreaming. And when you know that your dreaming is a dreaming, dreaming stops. It can continue only if it is felt as real. It is stopped if it is felt as unreal. And once dreaming stops in you, you are a different man. The old man is dead; the sleepy man is dead. That human being which you were, you are no more. For the first time you become aware; for the first time in the whole world that is asleep, you are awake. You become a buddha, an awakened one. With this awakening there is no misery, after this awakening there is no death, through this awakening there is no more fear. You become for the first time free of everything. To be free of sleep, to be free of dreaming, is to be free of everything. You attain freedom. Hate, anger, greed disappear. You become just love. Not loving, you become just love! Many thanks and highly appreciated! I have a question – where can I find those 7 methods of sudden enlightenment? What are they? I understand that there are dangers but they are helpful for very elderly people who do not have much time left. Thanks again! 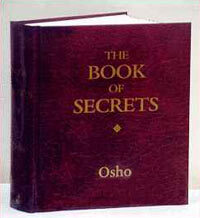 Osho comments on each and every one in his book entitled The Book of Secrets. Thank you so much! I have seen lucid dreams 3 times! It is really a great experience!